An ultra-fast game of letters and words to consume without MOT-DE-RAT-SI-ON. 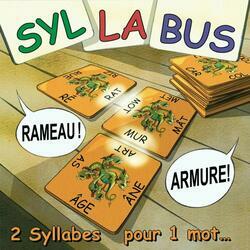 Syllabus is a very fast connection game and plays on words signed Axel de la Taille. Contents of the box : 46 "Syllabus" cards, 2 rule cards.